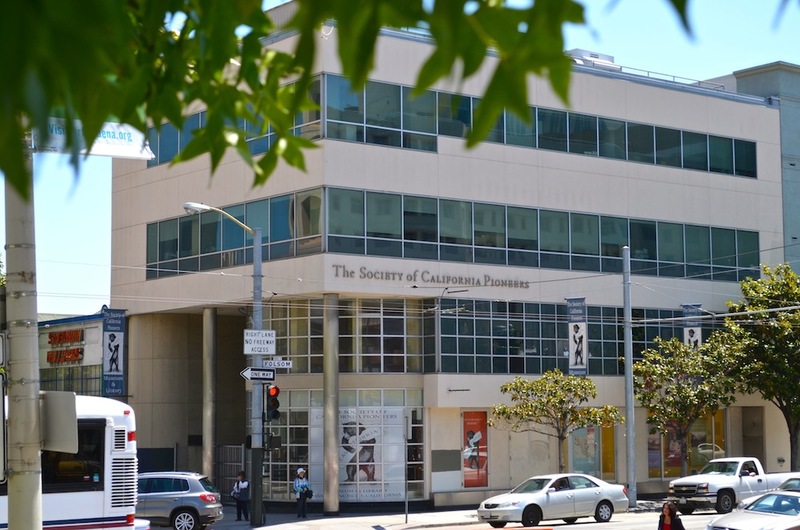 The California Genealogical Society has a long history of collaborative relationships that continues today. Board members Pat Gallagher and Henry Snyder have been meeting with Patricia L. Keats, Director of Library and Archives at the Society of California Pioneers. They have been planning an introductory genealogy class for members of both societies to be held in San Francisco in the fall. When Henry mentioned the idea at a Publications/Marketing Committee meeting, the group expressed an interest in seeing Pioneer Hall and meeting there in lieu of our July meeting. Pat Keats approved the visit and our monthly committee meeting morphed into a field trip and site visit. 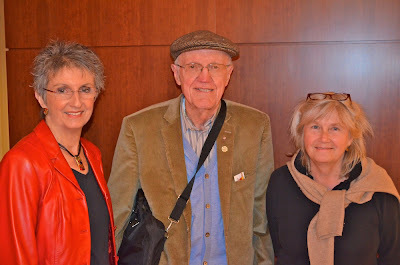 L. to R. Jane Hufft, Pat Gallagher, Henry Snyder, and Kim Cotton. 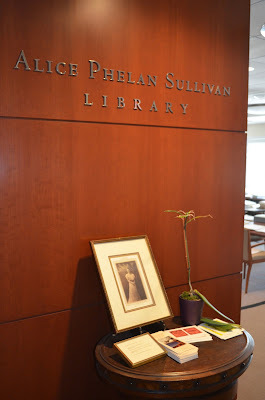 Kim Cotton, Jane Hufft, Pat Gallagher, Shannon Reese, and Henry Snyder met in the Alice Phelan Sullivan Library at the Society of California Pioneers, located at 300 Fourth Street, San Francisco. Pat Keats was a gracious host. 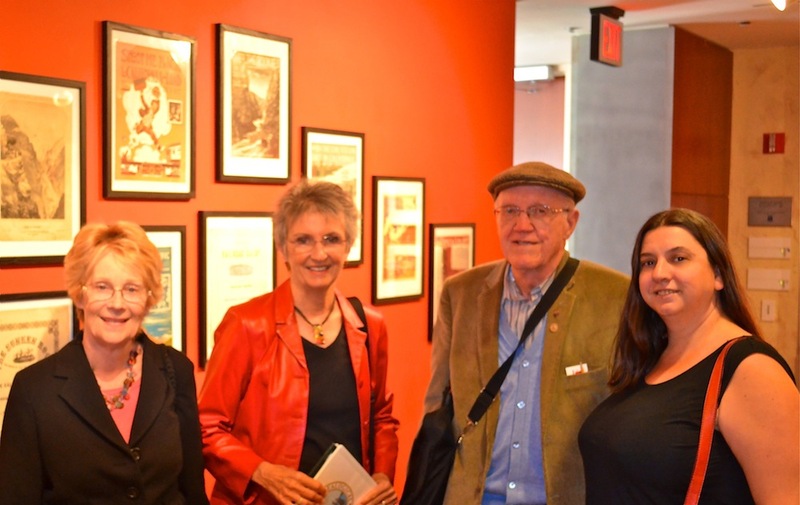 After the Pub/Market Committee meeting, she gave a tour of the Joseph and Mildred Rolph Moore Gallery – their gorgeous space for exhibits and lectures. She filled us in on the current exhibit on "Singing in California," which highlights songs/music written about California over the years. The Joseph and Mildred Rolph Moore Gallery will be the venue for our upcoming joint venture, a beginning genealogy class on Saturday, September 8, 2012, from 1:00 – 3:00 p.m.
Pub/Mark Committee Chair Shannon Reese chronicled the day with photographs and sent this description, "We met in the bustling South of Market (SOMA) area of San Francisco. The Society of California Pioneers is a beautiful, modern building with gorgeous built-in wooden bookcases and views of Moscone Center and skyline." Pat Gallagher, Henry Snyder and Patricia Keats. 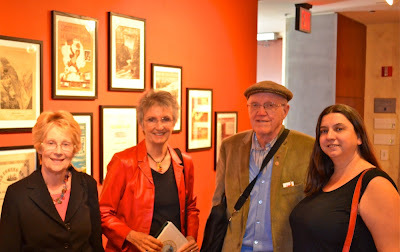 "I love when people get introduced to our collections here at the Society of California Pioneers. We have such a treasure trove of not only printed information, but visual information as well. Our manuscript collections (diaries, letters, etc.) are wonderful, but there is also the vast collection of other materials that researchers can use. Visual materials such as maps, printed broadsides, photographs, advertising ephemera and art can all be really informative in many ways for researchers. Working at the Society is like working in a vast historical story – each day one can go from the Gold Rush to Japanese immigration at Angel Island, from rare books on early San Francisco to pamphlets on early California artists. One learns something new everyday!" Keats summed things up: "We are looking forward to collaborating with the California Genealogical Society since both of our organizations have similar aims, and our collections complement one another quite a bit. I think this will be the beginning of something very beneficial, as well as interesting and fun, to both our organizations!" Established in 1850, The Society of California Pioneers was created to cultivate social bonds, to collect and preserve information related to California history, and to perpetuate the memory of early pioneers. 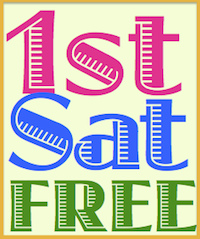 Today it is a not-for-profit museum, library, and cultural organization dedicated to advancing the knowledge and appreciation of early California history for the benefit of present and future audiences of all ages. The goals of the Society are to preserve the history of early families and pioneers, as well as events from pre-statehood and Spanish California up through the early 20th century. The collections are open to all researchers. One of the main aims since moving to the current location is to provide increased accessibility for patrons, both in person and online. The Society of California Pioneers is still under the leadership of direct descendants of California pioneers. It serves as a venue for California art, history, and culture. Pioneer Hall has a museum with rotating exhibits and the Alice Phelan Sullivan library, which are both open to the public. 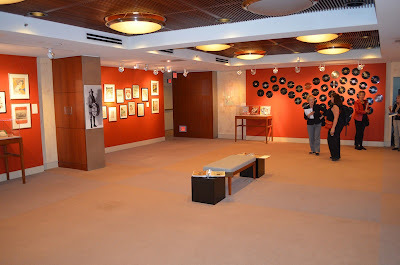 It is the location of many exhibitions and programs related to California History. The Society emphasizes educational programs and the preservation of historical materials. It hosts book talks, musical programming, and lectures by members and others relating to early California. Photographs courtesy of Shannon Reese, 7/10/2012, San Francisco.